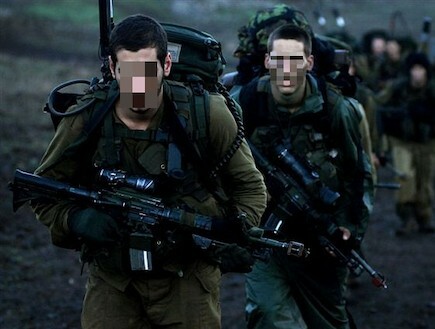 General Staff Reconnaissance unit is the elite special forces unit of the Israeli Defence Force (IDF). It was established in 1957 as Unit 269 by veterans of the Paratroopers Brigade, Unit 101 and the IDF's Intelligence Branch (Aman). Its main roles are counter terror, deep reconnaissance and intelligence gathering, but the unit is first and foremost a field intelligence-gathering unit, used to obtain strategically important intelligence far behind enemy lines. Sayeret Matkal is also in charge of hostage rescue missions outside of Israel's borders. The unit is modeled on the British SAS, and organizationally reports to Aman. Its IDF nickname is simply "The Unit". The unit's motto is "Who Dares Wins" (same as the SAS motto). The unit is best known for Operation Thunderbolt, more commonly but mistakenly known as Operation Entebbe, in which it rescued more than 100 Air France airline passengers hijacked to Uganda by PLO terrorists, losing the unit commander, Jonathan Netanyahu, to enemy gunfire. Sayeret Matkal was formed in 1957 by an officer name by the name of Avraham Arnan. He petitioned the IDF General Staff to create a unit that could be dispatched to enemy-held territory to carry out top secret intelligence gathering missions. The unit was initially based on the examples set forth by the SAS. Members of the unit were trained by Bedouin trackers on the finer points of looking and thinking like an Arab. In 1959, a draftee named Ehud Barak was accepted into Sayeret Matkal. He later succeeded the original Matkal leader, Lt. Meir Har-Zion, became Israel's most decorated soldier, and then went on to become the IDF Chief of Staff. Barak was a great influence on Sayeret Matkal. He was a highly innovative soldier, charismatic and brave. His presence inspired confidence in his soldiers and gave rise to a talented crew of operators that became a deadly and effective force. 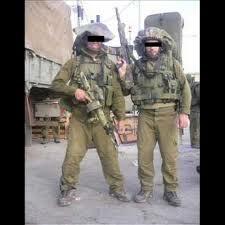 Although a top-secret unit, Sayeret Matkal had a tremendous influence on the IDF. They were the original developers of helicopter infiltration techniques in Israel. In addition, their heavy use of the Uzi led them to convince Israel Military Industries to produce an Uzi with a folding stock for increased accuracy while maintaining its small frame. They saw extensive action along the fronts of the 1967 Six Day War; many of Israel's war fighting successes before and during this conflict are evidence of their presence and abilities. Sayeret Matkal has participated in many anti- and counter-terrorist operations, including the storming of a Boeing 707 held by Black September terrorists in 1972 (Operation Isotope), and the killing of a force of bus hijackers in the Gaza Strip. They are probably best known for their actions in the 1976 rescue of 106 passengers at Entebbe Airport in Uganda (Operation Entebbe). There have been rumors linking them with several recent operations but these have never been confirmed by the IDF. The unit was kept top-secret during its initial years. Fighters and commanders were selectively hand-picked, based on personal acquaintances and family members of existing members (two of Netanyahu's brothers also served in the unit, for example). Since the 1980s, while still secretive, the unit opened to voluntary recruits. Twice a year it holds a notoriously grueling selection camp (Gibush) for potential recruits lasting several sleepless days. The recruits are constantly monitored by doctors and psychologists. Those who make it through the end with passing evaluation marks are admitted. 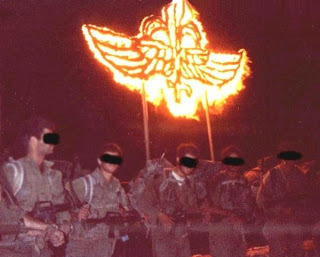 During the 1990s, this selection camp practice was picked up by other IDF special forces (Sayeret). Lately, IDF Chief of Staff Dan Halutz plans to unify all these camps to prevent recruit burn-outs and medical injury by over-enthusiastic youths. Four months basic infantry training. Two months advanced infantry training. Three weeks parachuting course in the IDF Parachuting School. Five weeks counter-terror (CT) course in the IDF Counter-Terror Warfare School, followed by more inner-unit CT training. The rest of the training is dedicated to long-range reconnaissance patrol training, and especially to navigation, which is of vast importance in the unit. While most of the navigation training is done in pairs, like in every other unit in the IDF, Sayeret Matkal is one of handful IDF elite units which conducts long-range solo navigation exercises. 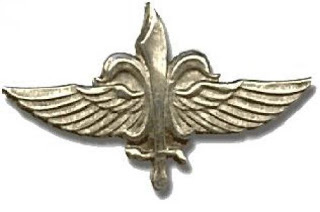 Although Sayeret Matkal has its own insignia, it is the only unit in the IDF whose soldiers are not allowed to wear it in public due to its classified nature. Note: Until recently the Israeli army had an official policy of denying existence of this unit. Operations were generally attributed to "elite paratroopers". Sayeret Matkal operations are still kept secret to this day. However, due to the unit's successes in daring operations, it soon became a very publicly-known secret in Israeli society. Officer by the name of Avraham Arnan. He petitioned the IDF General Staff to create a unit that could be dispatched to enemy held territory to carry out top secret intelligence gathering missions. The unit was initially based on the examples set forth by the SAS. Member of the unit were trained by Bedouin trackers on the finer points of looking and thinking like an Arab. In 1959, a draftee named Ehud Barak was accepted into Sayeret Mat'Kal. He later succeeded the original Mat'kal leader, Lt. Meir Har-Zion, became Israel's most decorated soldier, and then went on to become the IDFChief of Staff. Barak has a great influence on Sayeret Mat'kal. He was a highly innovative soldier, charismatic and brave. His presence inspired confidence in his soldiers and gave rise to a talented crew of operators that became a deadly and effective force. 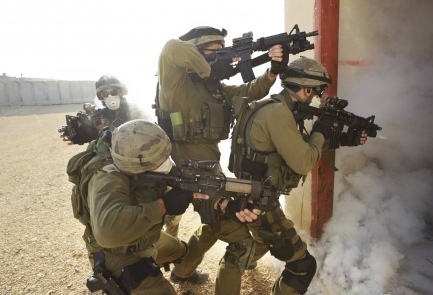 Israel's special forces, which were formed in 1948 as the Special Reconnaissance Platoon, now consist of elite commando, counterterrorist, antiterrorist and recon units. They form the pre-emptive first line of defense for the Jewish state and have unit names like Batmen, Winged Snakes and Flying Tigers. The covert forces have participated in daring, clandestine operations both in Israel and in enemy territory, including the famed 1976 Raid on Entebbe: the rescue of Israeli hostages held by Palestinian guerrillas who had hijacked an Air France plane that had taken off from Tel Aviv and redirected it to Uganda. In one of their most recent actions, undertaken in May 2010, special forces intercepted the Mavi Marmara, a Turkish aid ship attempting to break the Israeli blockade of the Gaza Strip. During the operation, nine activists, most of them Turkish nationals, were killed. An international uproar ensued in which members of the special forces were accused of using deadly force on people who, some say, had not initiated violence. An Israeli inquiry into the incident found that the troops acted in self-defense and therefore did not break international law.